According to Susan Cain, author of the best-sellers Quiet Power: The Secret Strengths of Introverts, and Quiet: The Power of Introverts in a World That Can’t Stop Talking, higher education often penalizes introverts through group work and participation points—and some students even have to pretend to be extroverts in order to fit into the system. “The next generation of quiet kids can and must be raised to know their own strengths,” says her Quiet Manifesto. Educators, she contends, have an important role to play in empowering the quieter members of their class. In a recent webinar with Top Hat, Cain shared some surprising facts about introverts and higher education—as well as some solutions that students and educators can use to work together to draw strength from this personality type. If you’re interested, you can watch the free webinar recording now. In the meantime, here are six facts about introverts in the class that we learned from Susan Cain. Cain is a former lawyer, and a TED talk alumna. She’s also a self-described introvert. But aren’t introverts supposed to be shy of the stage and terrified of public speaking? Not necessarily, says Cain. She adds that many introverts are shy, but that’s not a universal trait. On the other hand, she says, “you have lots of extroverts who are shy too and extroverts who are uncomfortable with public speaking or who clam up at a cocktail party.” It’s not about fear, but about where you draw your energy. 7. 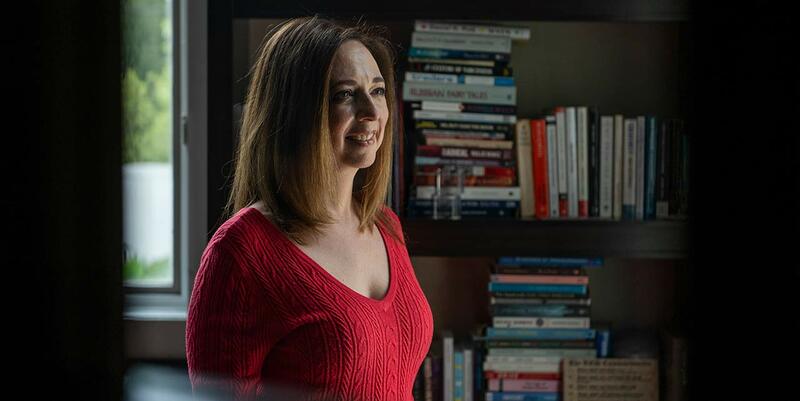 "I have a lot of concerns about the way education is moving today," says @susancain. "There seems to be a lot of glorification of group work for its own sake." In a group, creativity and collaboration isn't enhanced for introverts, she stresses. “Probably the biggest inaccuracy that I see people making, especially during the college years, [is that] a lot of people who are clearly introverts describe themselves as extroverts. I think that’s because of the social stigma that they might feel about being an introvert,” says Cain. Armed with a better definition of the term ‘introvert,’ students will be able to ask for the help they need. Connecting back to Cain’s first point, it’s not that introverted students are afraid to speak up—they just don’t feel the need to among large groups of their peers. 13. Get rid of the phrase "class participation"—say "classroom engagement" instead. Put forward meaningful one-on-one, student-to-student or student-to-teacher interaction as an alternative. Cain doesn’t recommend tying grades to whether students speak in class. “It’s not a system that’s encouraging people to be thoughtful or to be respectful of other people’s time.” An introvert might show classroom engagement by having deep discussions with one of their peers instead, for instance. What alternatives to group work can help introverts shine? How can classrooms and school buildings be physically designed to help introverts? What tactics can you use to include the ideas and feedback of introverts in a group class environment? What if you, as a teacher, are also an introvert? Susan Cain shares the answer to these questions as well as lots more wisdom and knowledge in her exclusive talk with Top Hat—A Conversation with Susan Cain: Bringing Out the Best in Quiet Students. Get free access to this special discussion by completing the form below.